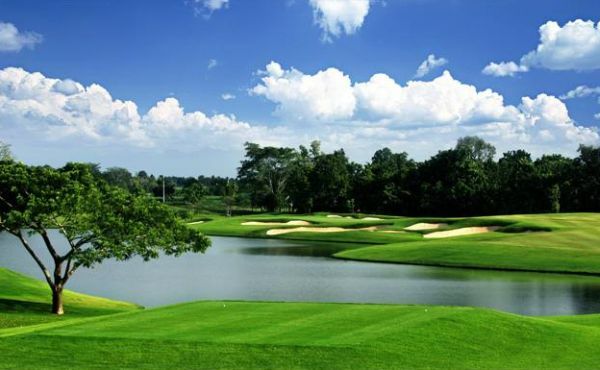 Singha Park Khon Kaen Golf Club is located in Thailand’s north-east province of Khon Kaen and is around 400 kilometers from Bangkok. 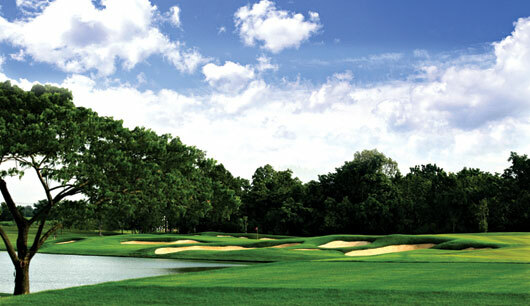 The Issan golf course started out as a waste disposal area for the adjacent Singha Beer brewery. 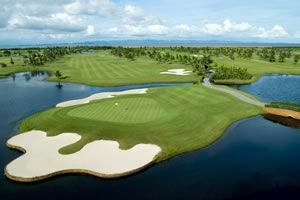 When a marsh-land could no longer support the distillery runoff water, the owners decided to put the land and water to good use by constructing a golf course. 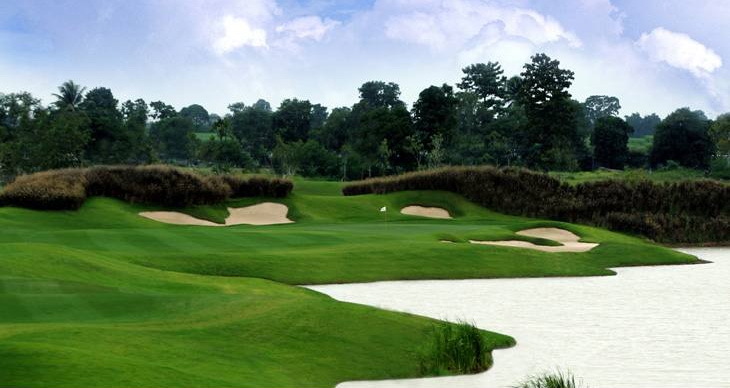 The par-72 course, set amidst reads and local red grass, measures 7,502 yards from the championship tees and provides a stern challenge for even the most talented golfers. 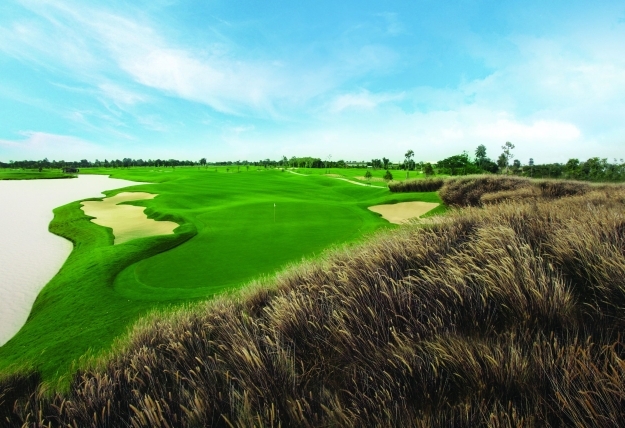 Immediately after opening the Singha Park hosted the Asian Tour’s Kings Cup in 2009 and the same tournament has followed each year since to become a major fixture on the Asian professional golf circuit. Singha Park Khon Kaen Golf Club is an 18-hole journey through 9 lakes with fairways that follow the natural line of the land, natural stones, large sand bunkers, and native trees and shrubs that also add to the beauty and golf challenge. 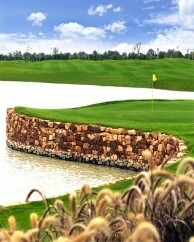 Singha Park features a wide range of holes. 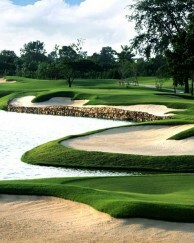 There are long and difficult par 3s, short and reachable par-5s and a mixture of both short and long par-4s. 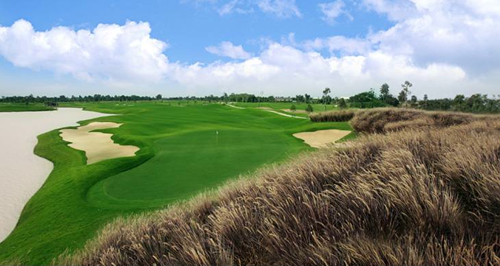 The relatively flat Khon Kaen golf course has fast Bermuda grass greens with subtle breaks. Water comes into play on sixteen holes. The par-3 13th is a particularly difficult hole where bogey is a good score. One of the best holes is the 7th, a relatively short par-5 reachable in two. 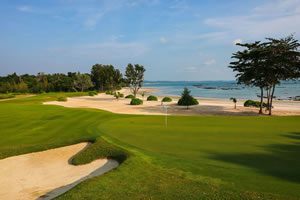 However, on in two requires a very accurate shot to the green as water, sand, and trees protect the putting surface on all sides. 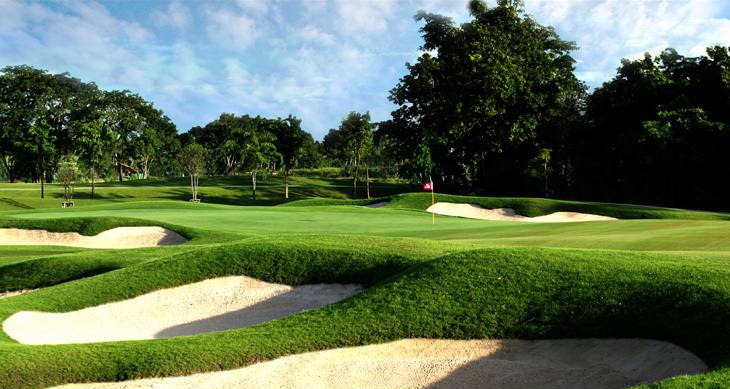 Good course management, careful shot selection, and precise execution are favored over long brute force to score well on this Khon Kaen golf course. 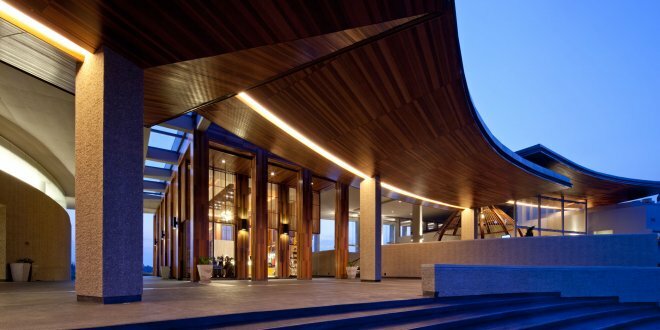 The ultra-modern clubhouse has won numerous design awards and is a standout among the relatively rural Khon Khaen countryside. 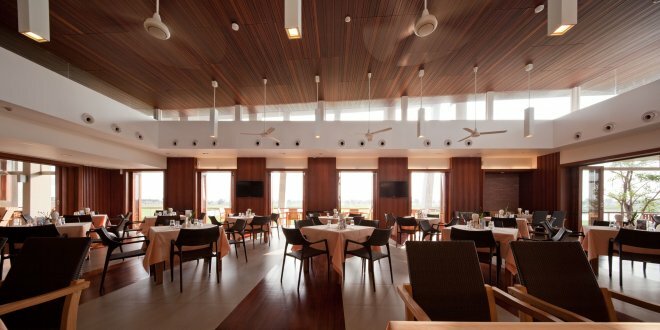 The golfer’s restaurant is comfortable with an air-conditioned seating option in addition to an alfresco balcony, which looks over the 15th and 18th greens. The food and coffee are both very good. 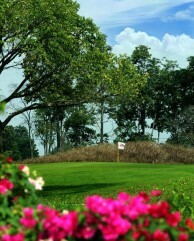 Locker rooms are plush, and the pro shop well stocked with logoed items and a wide range of golf accessories. Have you played golf at the Singha Park Khon Kaen Golf Club and took some nice photos that you would like to share with other golfers? Send them to us and we may upload them here. Thank you in advance! 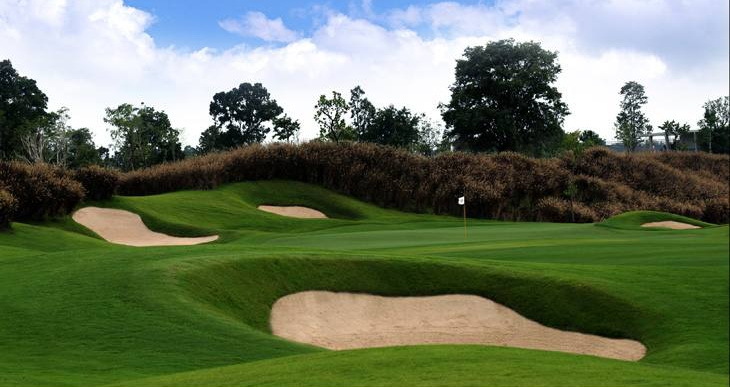 I visited Khon Kaen with a golfing friend for a four day golf break . 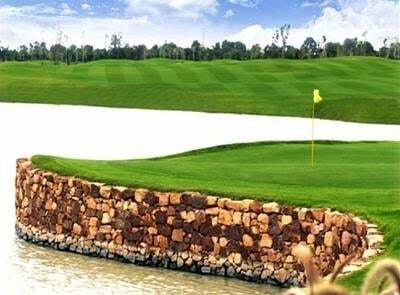 Singha park was the last course we played and the most costly. 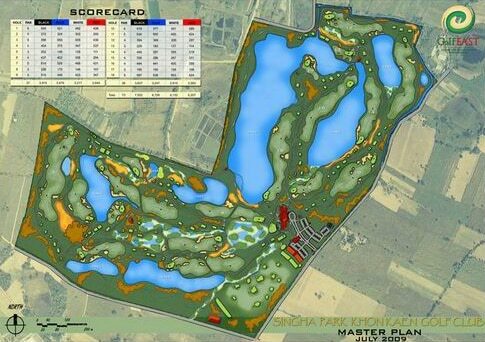 However it was well worth it and if and when we return to the area this is the only course we will play . 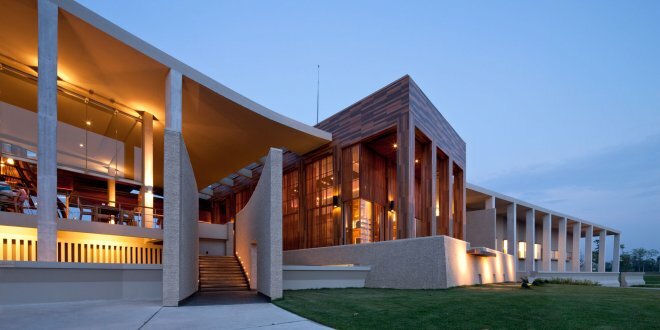 It is truly a 5 star venue from the course layout and condition to the clubhouse facilities . It is as good if not better than the best that Chon Buri has to offer .